Cryptocurrencies such as bitcoin, ether, Litecoin, and others have witnessed remarkable growth this year. Bitcoin price crossed $4,600 mark for the first time this week, while Ethereum appears to be on its way to surpass $400 levels once again. However, question arises on the security of cryptocurrency exchanges. A number of digital asset exchanges including Gatecoin, ShapeShift, and Bitfinex, have been hacked in the past with losses running into millions of dollars. More recently, Korean bitcoin exchange Bithumb lost billions of won to a major hack in which hackers also gained access to the personal information of 31,800 Bithumb website users reportedly. Addressing these challenges, Metaps Plus, a Seoul-based mobile marketing platform developer, has announced a new digital currency exchange "CoinRoom". Scheduled to launch in March 2018, CoinRoom will be designed as an infrastructure with networks separated according to the Personal Information Management System (PIMS) and Information Security Management System (ISMS) managed by the Korea Internet & Security Agency (KISA). Metaps Plus is also planning to introduce a new token “PlusCoin” (PLC), an Ethereum based token, to the Korean market through an Initial Coin Offering (ICO), scheduled to start on September 26, 2017 and end on October 10, 2017. On the basis of the token amount owned, PLC owners can receive certain benefits based on parts of the profit generated by CoinRoom. 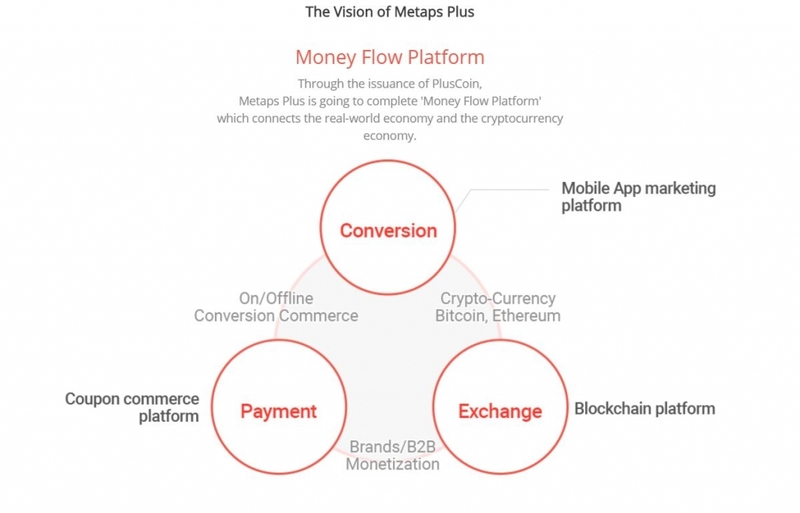 “PlusCoin ICO of Metaps Plus will be the world’s first case in which a company with sufficient capital to maintain an orderly market issues cryptocurrency”, according to the PlusCoin whitepaper. Also, in order to make it impossible to hack the platform, CoinRoom will introduce a withdrawal process with multifactor authentication and a verification mechanism for PlusCoin token owners regarding their ability to pay. The exchange will also support DigiByte, Stratis, and other tokens currently not traded in Korea-based exchanges, along with providing direct transaction services between different cryptocurrencies, and between Korean won and cryptocurrencies. According to the terms of the ICO, the goal for token sales is minimum 30,000 ETH (approximately $10,000,000, provided that the amount is subject to modification set-ups depending on the market price of ETH) and maximum 100,000 ETH (approximately $30,000,000). If the ICO fails to reach the goal, ETH used for the purchase will be returned.